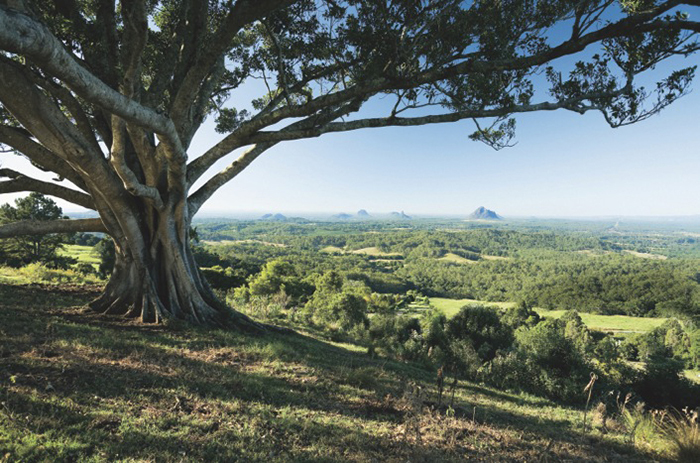 There is much to see, sniff and taste in the Sunshine Coast hinterland, and you don’t have to wait for a food festival to find it. With a little research you can be off on your own food trail, driving into the green countryside to explore spice farms, browse cheese factories, sample hand-made chocolates, eat artisan bread, buy fruit and vegetables fresh from the tree and the earth. Everything to make a foodie’s heart beat faster is available at the vibrant Eumundi Markets, held each Saturday. Producers and growers come down from the hills and off their farms to present everything from goat cheese to curry pastes, to pickles and roasted macadamias. Browsing stalls groaning beneath the weight of fresh produce with the spicy aromas of satay and paella in the air is going to set you up for the morning. Then head down the road to the Eumundi Strawberry Farm and pick your own luscious red orbs to take home. They’ll taste all the sweeter. Want more markets? 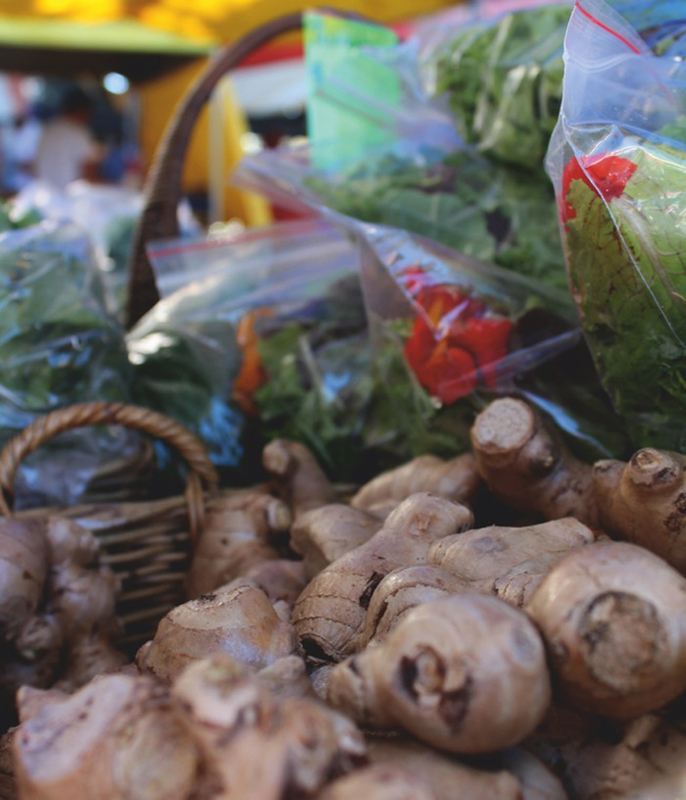 On Sunday mornings the Noosa AFL Grounds come alive when The Noosa Farmers Market pops up with a cornucopia of produce, from Noosa Spanner Crab to Cedar Creek pickles and pastes, to Bendele Farm organic ducks and chickens. It’s a Sunday morning ritual for many who enjoy chatting to the producers and sitting on plastic chairs in make-shift cafes eating French cheese and bread or nibbling on Japanese pancakes. 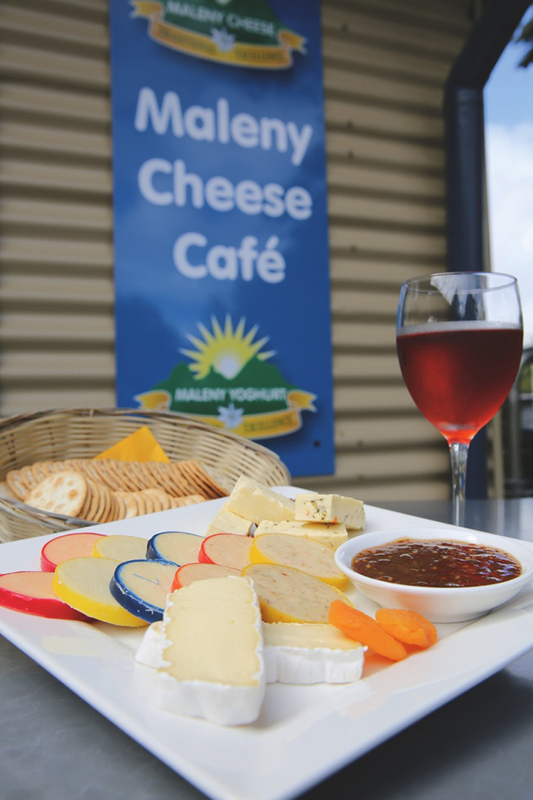 Get a gang of mates (you’ll need 10) and make an appointment to tour The Maleny Cheese Factory for insight into cheese making. Or just visit the cafe/shop by yourself (armed with your esky) to buy exquisite cheeses including cow and buffalo feta or the distinctive sharp club cheddars. Take the same gang to Garnisha Spice Gardens near Boreen Point (another appointment needed) and after a wander around its 14 acres you’ll know everything you’ll ever need to know about kaffir limes, galangal, turmeric, chilli varieties, pimento, Thai mangoes, lemongrass cardamom, curry leaves and tamarind. The proliferation of Sunshine Coast cooking schools over the past decade is testament to the culinary interest in the region. 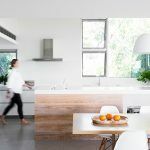 The Long Apron Cooking School in Maleny, lead by multi-award-winning chef Cameron Matthews, gives hands-on classes in Italian, French and Thai cuisines. 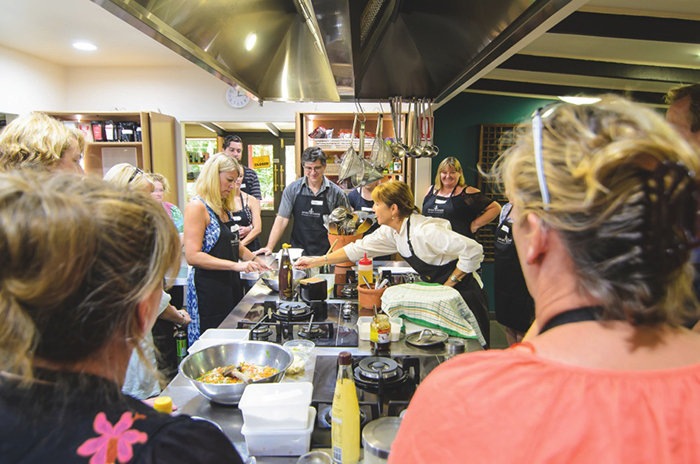 The Spirit House Cooking School in Yandina attracts visitors from all over the country for its sell-out hands-on cooking classes featuring simple Thai food, to Thai banquets, seafood barbecues, Asian chargrill and Vietnam cuisine. Most visitors take home a copy of The Spirit House Cookbook. The pretty hinterland towns of Maleny, Montville, Pomona, Kin Kin and Kenilworth are all home to locally owned-cafes, markets and delis where jams, sauces, preserves and home-made treats are reassuring proof that this is a region thriving in culinary culture. 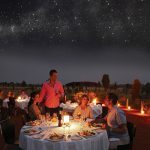 A Sunday afternoon stop at the historic Apollonian Hotel at Boreen Point, where the pig has been roasting on the spit since the wee hours of morning, will give you a taste of country life – especially when you sit out on the lawns with 300 others enjoying succulent meat with damper and country fresh air. 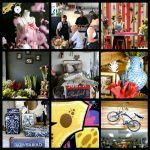 A day, even a weekend will slip by quickly once you start a mission to find just some of the Sunshine Coast’s foodie treasurers. Good luck in your food travels – you’ll need plenty of stamina!